Where, and from what, does everything come from? 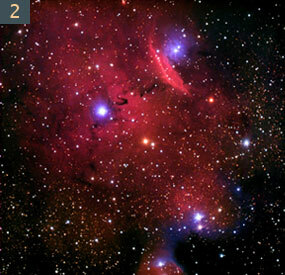 The images below are actual space photographs ordered to display the evolution of nebula into star-making factories, then star clusters, then substantial cores capable of becoming a galactic center of activity, then spiral galaxies that evolve until their end of life. 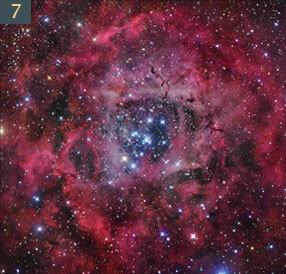 Follow the numbered order of the images below to see this evolution for yourself. 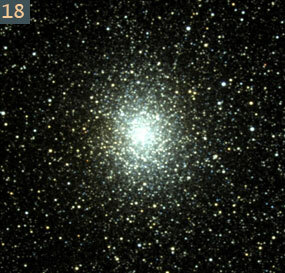 IMPORTANT NOTE - The following images are ordered to display the evolution of stellar bodies, using photos of different galactic bodies to tell the story. 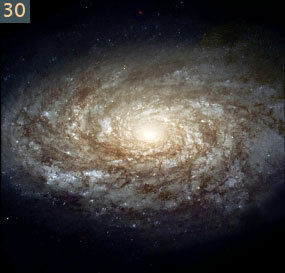 The order of the photographs is not absolute, and some portions must use different scales (internal and external to existing galaxies) in order to illustrate this configuration with no intent to mislead. 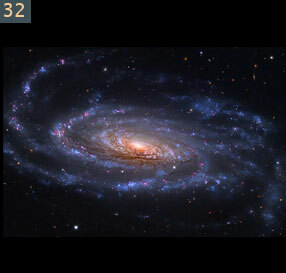 At the end of the 34 image sequence, there are additional single images that show actual neighboring galactic bodies that directly display these evolutionary stages. 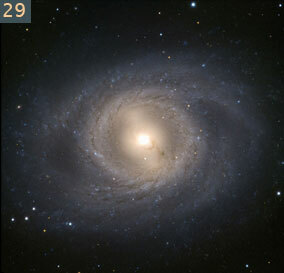 25-28: The radiated material spiralizes - and that material begins to radiate back into nebulaic mists, which again begin to coalesce into the star-producing condition. Those new stars are capable of radiating material of their own, which become planets. 33-34: As the galaxy's life nears its end, the core is expended, and the nebulaic discharge is left to interact with outer space again. 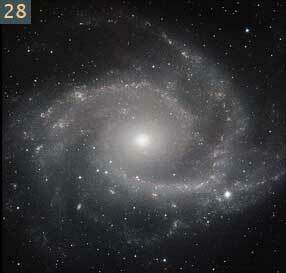 This final image #34 is said to be the oldest spiral galaxy ever found. 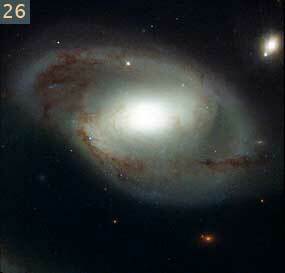 The next few points display the galactic evolution viewpoint and display some perfect 'Local' examples. The two galaxies below are at near identical states - however the top galaxy is radiating matter in the beginning stages of spiralization. 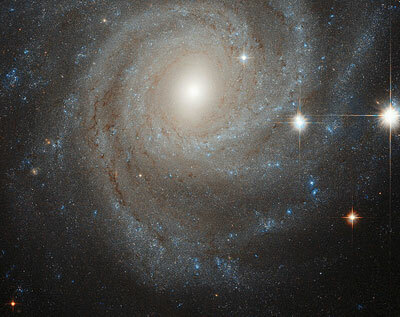 The galaxy below it is still in full Elliptical state. 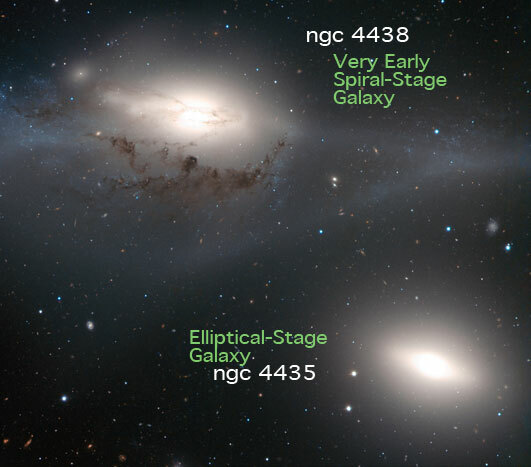 This image below shows all stages of galactic evolution. When the threshold of radiance begins, spirilization can begin, just like the previous picture shows. 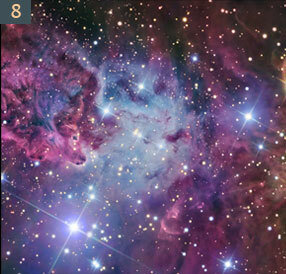 The seven small images below are cut directly from the larger photo below them, which is a photo that displays a Galaxy Field (those are not stars, but whole galaxies). 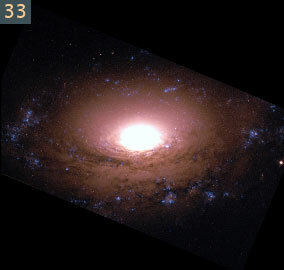 This image sequence shows galaxies ranging from Elliptical to Spiral. 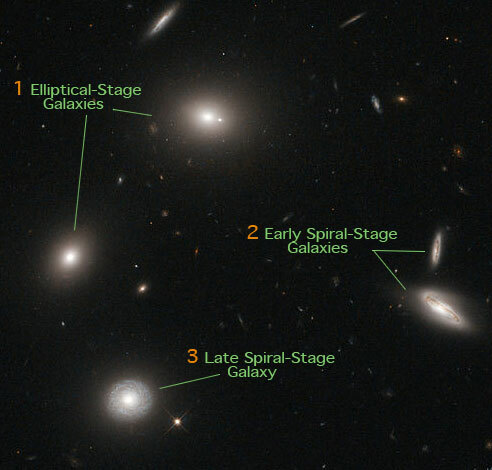 The large photo below shows many neighboring galaxies in different stages of their evolution, and that galaxies likely do not evolve on a time-based sequence alone, but change according to energy thresholds that allow the next stage to continue if possible. 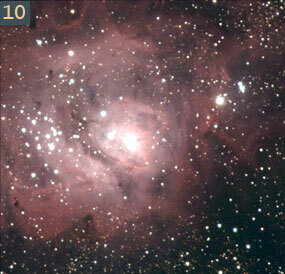 For this reason neighboring galaxies can look very different from each other. 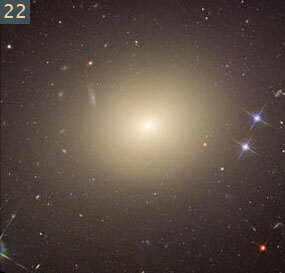 Below is a photo of two neighboring galaxies that show the most possible contrast - one being a fully spherical Elliptical Galaxy, the other being a fully extended Spiral Galaxy. 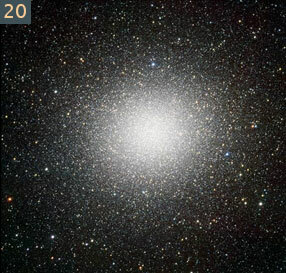 This displays that galactic evolution can not be described singularly as time-based, meaning that the passage of time alone does not guarantee when an Elliptical Galaxy will evolve into a Spiral Galaxy based merely on the passage of time. 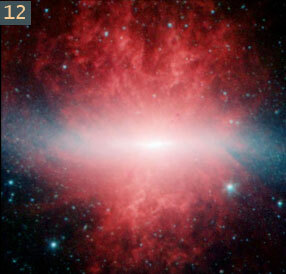 This image below shows how stellar bodies can be in very similar periodicity. 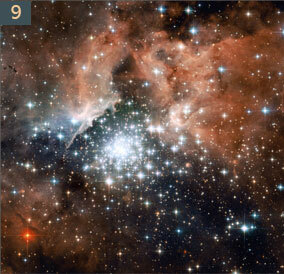 We see "I ZWICKY 18" in a near identical state as the star cluster above it. This is an example of closely related time-based sequencing. 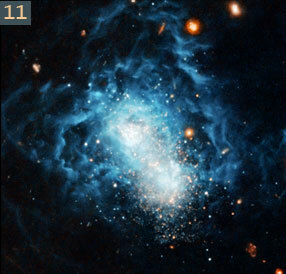 This image shows what NASA is currently calling "the youngest galaxy ever seen". 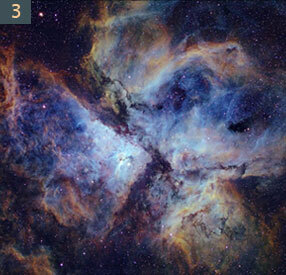 This image would fit in the numbered galaxy progression series above between #14 (star producing Butterfly Nebula) and #15 (the Magellanic Star Field). 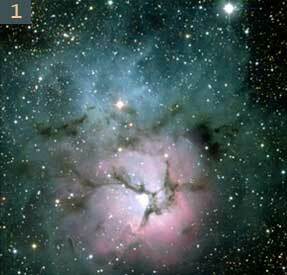 This image shows the nebula in it's final season, having used it's nebulaic gases in star production. 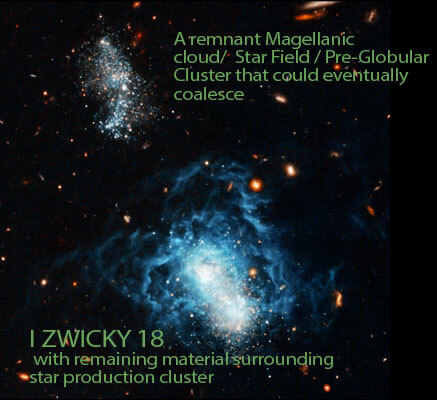 The final wisps of gasses and the relationship of stars is being sorted out until a vast field of stars is left, to interact, or coalesce into a more orderly Elliptic Stage Galaxy cluster to then begin emissions of material in the spiralization process. 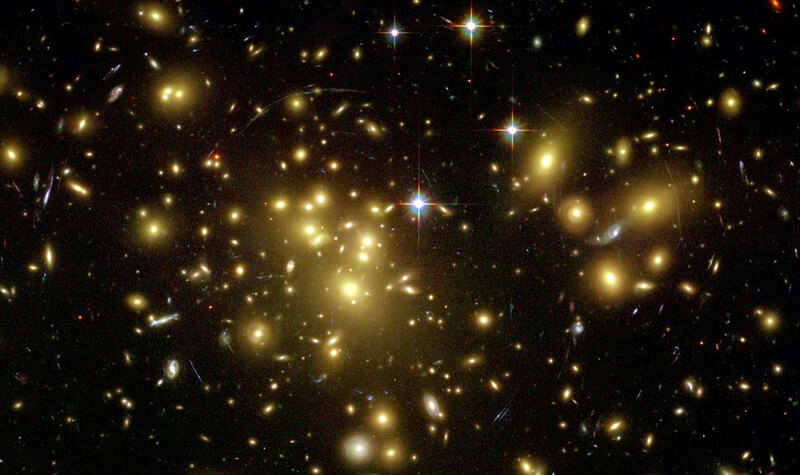 This image shows a breaking news story of 2018 - ESA/NASA photo of what is called a massive galaxy with zero dark matter - something thought impossible until today. 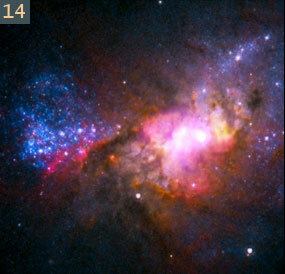 "The discovery could revise or even upend theories of how galaxies are formed, they reported in the journal Nature. 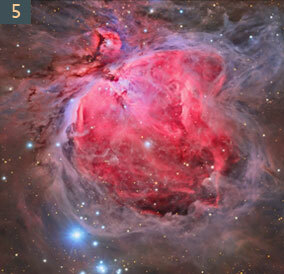 "This is really bizarre," said co-author Roberto Abraham, an astronomer at the University of Toronto. 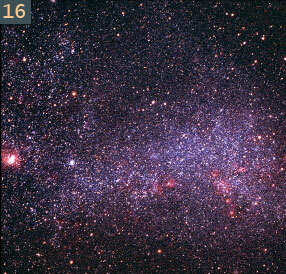 "For a galaxy this size, it should have 30 times as much dark matter as regular matter," he told AFP by phone. 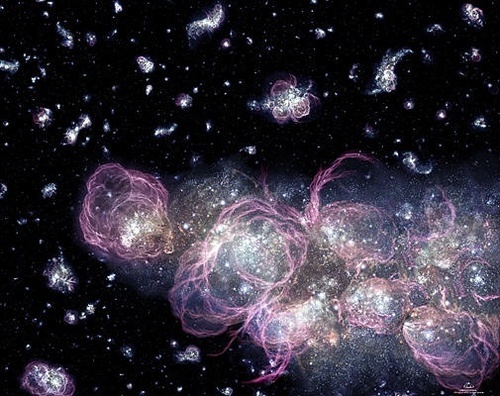 "What we found is that there is no dark matter at all." 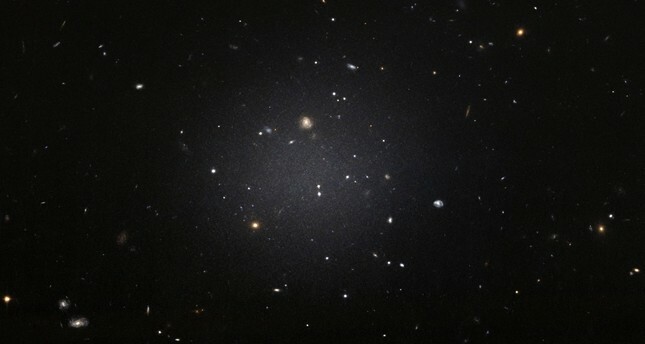 "[Dark Matter] is conventionally believed to be an integral part of all galaxies, the glue that holds them together and the underlying scaffolding on which they are built," Story found HERE. 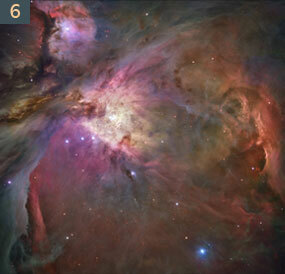 What is seen in this photo is a revelation of periodicity, in the structural formation of matter and form. What science currently defines as the rules to material creation are limited to a slice of time that we currently see! 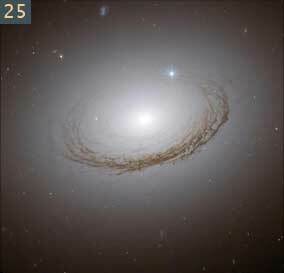 Are all elliptical galaxies destined to be spirals? It is a matter of thresholds that create backlogs in collapsing polar systems. Small Elliptical galaxies will conform to an orbital system faster, and these orbits will create a subterfuge that will both push out radiance, and pull in a new gravitational core. The stars will begin to collide and fuse, their collapsing centers will diffuse into a single core and begin to emit material and eventually, spiral arms. 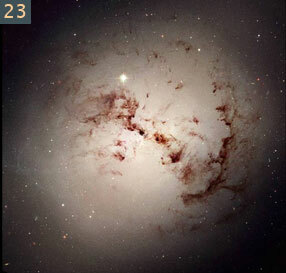 Clumps of galaxies often display different periodicity. 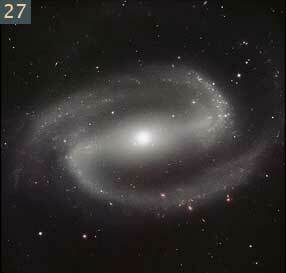 What is frequently seen are very large Elliptical galaxies sitting near newborn Spiral Galaxies. 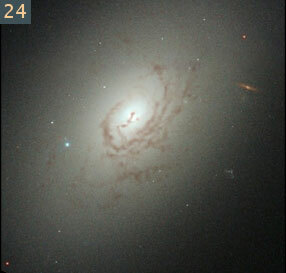 Viewing Spiral-Stage Galaxies can reveal what size the Elliptical-Stage must have been, comparatively. 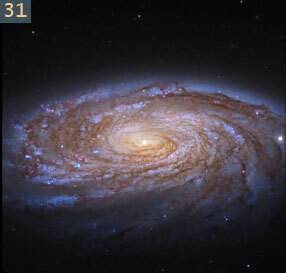 Spiral Galaxies with extensive arms of great detail would derive from an Elliptical Stage that was larger and included more stars. 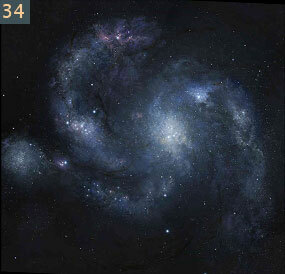 The age of galaxies is not wholly determined by what stage their development appears to be within. For example the size of a snowflake does not yield its age - rather the size of the snowflake tells something of the conditions it was manufactured by. 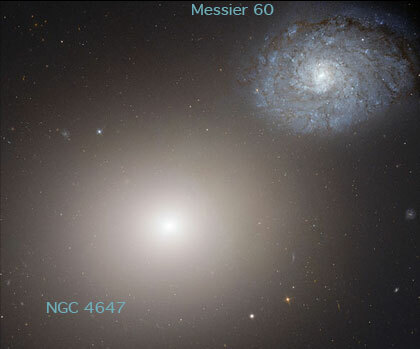 Galaxies come in different sizes and shapes based on the conditions of the overall energetic/gravitational system that is evolving to give those galaxies shape and characteristic. 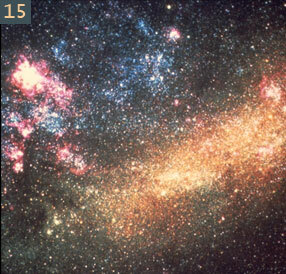 The Universe grows as it’s life continues onward. 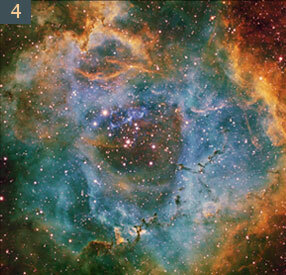 Most space bodies share conditions that follow an explicit evolution/growth pattern. 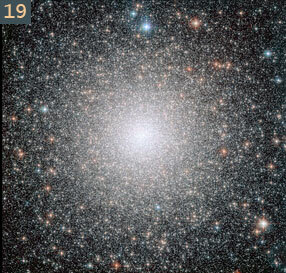 If the local environment of the universe is different, the way a galaxy grows will differ somewhat. 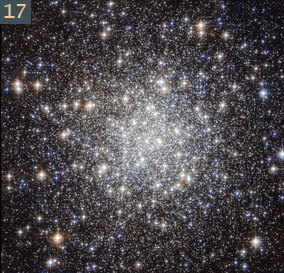 If the gravitational system inside a star or galaxy veers from its ordinary pattern, then some seemingly anomalous conditions will give rise to galaxies and other stellar bodies that seem to aberrate from this pattern. 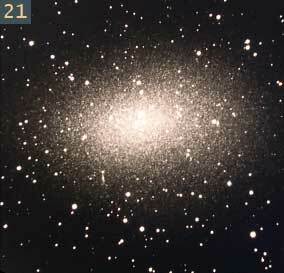 If a stellar body is surrounded by a portion of space that takes on more or less energy or pressure, likewise alternative variations of galaxies or other stellar bodies may occur. we have been able to view space development in any kind of detail at all. could easily turn into a trillion years, or even an eternity of endless cycles. It is important to recognize that every material quality of the universe is coming from one singular source, that source is energy based upon the wavelength. The basic energetic activity that creates the smallest subatomic charge is wavelength based. The ability for such wave-forms to coalesce into ‘fields’ or to mesh inward and bind into gravitational systems is simply a manifestation of inward or outward connection of the same wavelength form. To bind inward is to compress, and to bind outward is to radiate - and the wavelength itself, if sectioned, contains both of those qualities. This means that energy has a switch that is either turned toward compression or radiation, and this simple switch drives the entire universe. A singular energy altered in this manor creates the nebula, the star, the galaxy, the planet, the elements and eventually the lifeforms upon such planets. 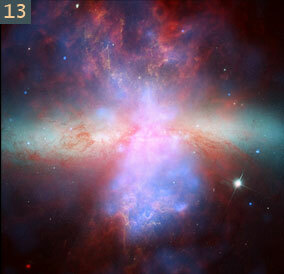 Was the Universe exploded into existence, or was it grown? There is much evidence that everything we know grows through changing conditions, and diminishes through diminishing conditions - so the growth theory is the only theory we can rely on.